The poverty rate in Washington D.C. sits at 17.4 percent, according to the United States Census Bureau. Even in Ward 3, one of D.C.’s most affluent Wards, the number of impoverished residents lies at 8.4 percent. Though about of half the District rate, this percentage still represents over six thousand people living without proper resources. D.C. Central Kitchen works to combat these numbers. In 2018, 3.2 million meals were prepared for various locations across D.C. 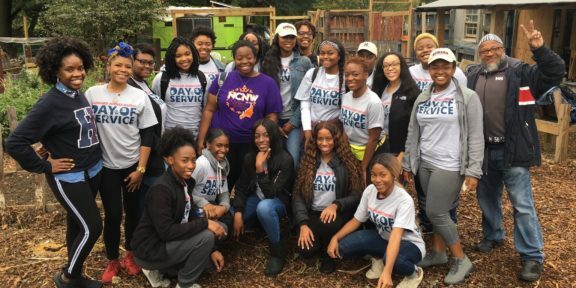 The organization combats food insecurity by providing healthy meals for low-income students, delivering healthy snack options to corner stores, and preparing meals for the community at various food shelf locations. Through the Campus Kitchens Project, D.C. Central Kitchen encourages school across the nation to take unused food that would be waste and create meals for those in need. D.C Central Kitchen’s Culinary Job Training Program, particularly, aims to tackle one of the root causes of poverty. D.C. Central Kitchen offers a 14-week intensive training program in culinary arts and career readiness. Foundation and funded by donors, admitted students receive quality training and two years of post-graduation support free of cost. Adults that face career barriers with backgrounds that include trauma, incarceration, addiction, and homelessness are given a second chance with the Culinary Job Training Program. The Culinary Job Training Program, directed by Liz Reinert, boasts an 87 percent job placement rate and a 96 percent reduction in recidivism rate. 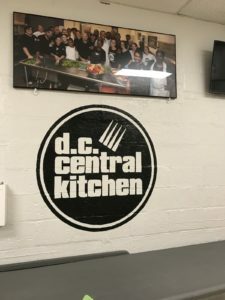 While some program graduates go on to find jobs in the culinary field, others choose to stay with D.C. Central Kitchen and continue to give back to the community. The program works to disrupt the cycle of poverty. Scutchins explains that “most of these people that you see work down here—they graduated from the program too.” Through the program, D.C. Central Kitchen creates a new cycle that not only provides essential resources, but an opportunity to build oneself and subsequently, the community.